Congratulations to Jeff Robinson who was recently appointed as Vice President of The Greater Oshawa Chamber of Commerce. 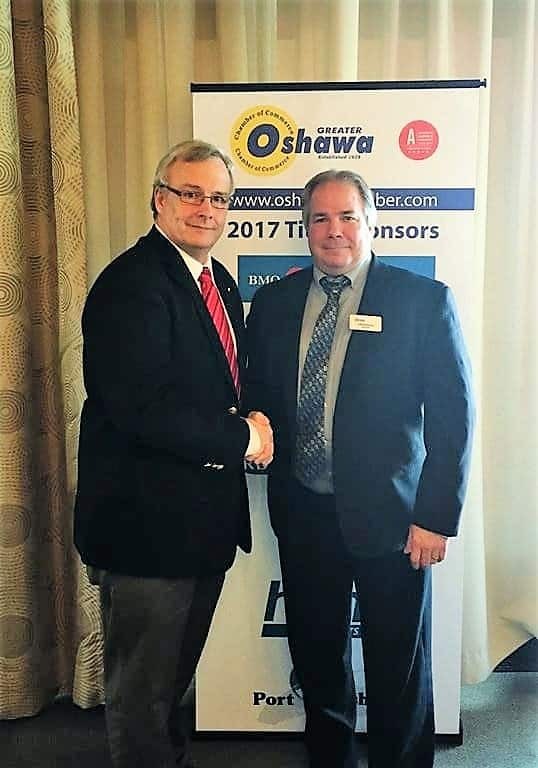 Jeff was welcomed to his new position by Oshawa Mayor John Henry and by the Commissioner of Planning and Economic Development for the Region of Durham, Brian Bridgeman at the annual Regional Chair’s Luncheon. In keeping with J.J. McGuire’s long tradition of giving back to their community, Jeff has served as a member of The Greater Oshawa Chamber of Commerce for a number of years and looks forward to providing even greater support to local businesses in his new capacity. 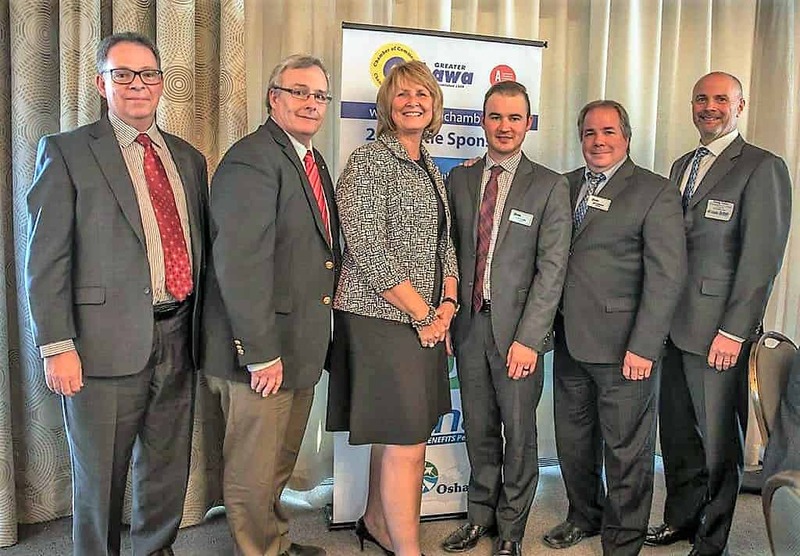 The Greater Oshawa Chamber of Commerce was established in 1928. Over the last 90 years, they have provided networking and mutual support opportunities to local businesses. In 2005, The Canadian Chamber of Commerce awarded them the National Accreditation, the highest quality standard awarded to Chambers of Commerce.